These presentation slides 34670 are complete compatible with Google Slides. Simple download PPTX and open the template in Google Slides. 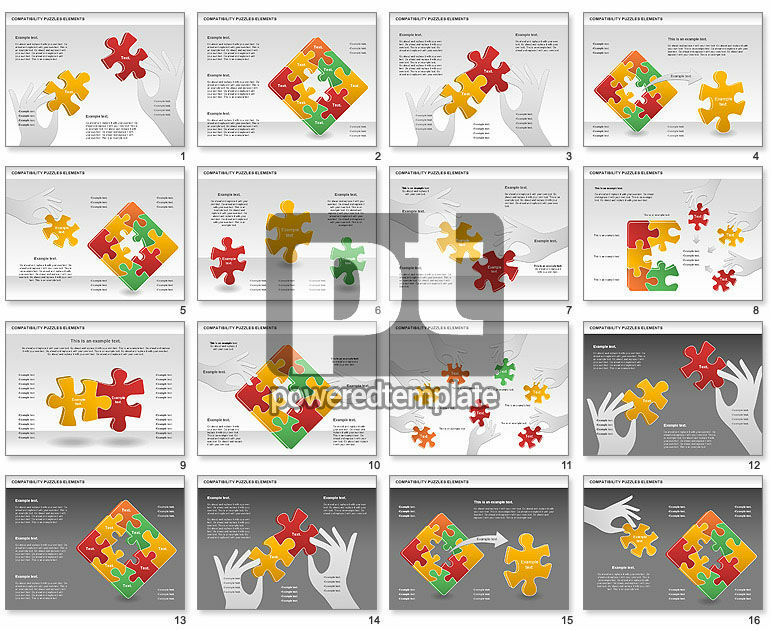 Compatibility Puzzle Chart with puzzle and human hands shapes will be ideal for visualization problem solutions, compatibility of various parts, departments, human relations, etc. Will fit for presentations on business, marketing, human resources management, staff management, etc.